Growing grass in shady sections of a yard is a problem almost every homeowner faces. In fact, about 20 to 25 percent of all grassy areas in the U.S. are at least partially shaded. Even the most tolerant turfgrass needs a minimum of four hours of sunlight daily to survive, but there are steps you can take to maximize grass growth in shady areas caused by trees, neighboring houses/buildings, etc. Limb up your tress to allow more opportunities for sunlight to reach the ground more effectively. 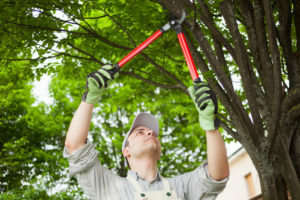 Trimming your trees’ canopies enables more sunlight to reach the ground. Try “limbing up”: Remove the tree’s lower eight to 10 feet of limbs to raise its canopy. This creates opportunities for the sunlight to slant between branches and reach the ground more effectively. We’ve made this step easy by developing premium quality Harmony Shade specifically for areas with less-than-full sun. No matter where you live, you can trust that it will always conform to the needs of your geographic region. Plus, Harmony Shade will give you more peace of mind because it is drought tolerant and disease resistant. Once you install it, all you need to worry about is kicking back and relaxing. Soil aeration creates holes in the soil, enabling water, fertilizer and air to reach the grass roots. Try to time aeration so it’s done just before the grass enters its peak growing phase. Adjust how you fertilize your lawn in shady areas. Choose a fertilizer with low nitrogen and high potassium content. Shaded grass has different nutritional needs than the rest of your yard. Choose a fertilizer with lower nitrogen and higher potassium content. This will maximize its wear tolerance and minimize its disease susceptibility. Or, in colder areas, there’s still time to use a winterizing fertilizer at half the recommended rate. Compost can also work as a fertilizer, using a layer thin enough to still see the grass blades after it’s applied. Water only enough early in the morning to dampen the soil five to eight inches deep. This encourages the roots to grow deeper, and will reduce the potential outbreak of turf diseases that thrive in damp, shady areas. Mow at the maximum height range recommended for your specific type of turfgrass. Make sure the blades are sharp, and that you cut only the top third of the blade length at most. Longer grass can photosynthesize more easily, which is crucial to grass growth. Herbicides can put too much stress on a shady lawn. Unless you have a big weed problem, try to spot-spray weeds only as needed. Lots of foot traffic can also put unnecessary stress on shaded areas. Consider installing a walkway through or around the area to lessen stress. If the shaded grass starts to fail, you can re-sod the areas every few years. Replacing non-existent turfgrass with dense sod can refresh a shady area quickly. Thankfully, healthy turf is easier than ever. Harmony turf is improved every year, and any new turf you need will blend well you’re your existing Harmony grass.